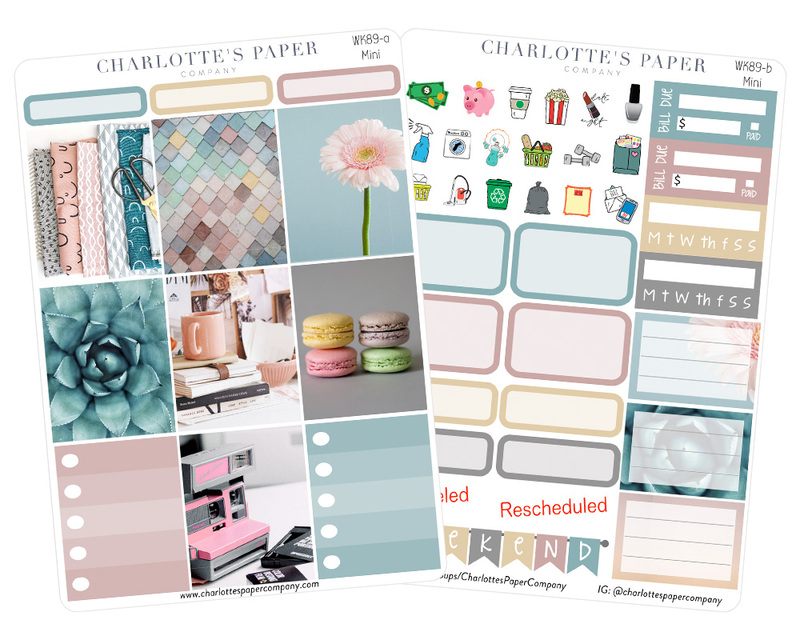 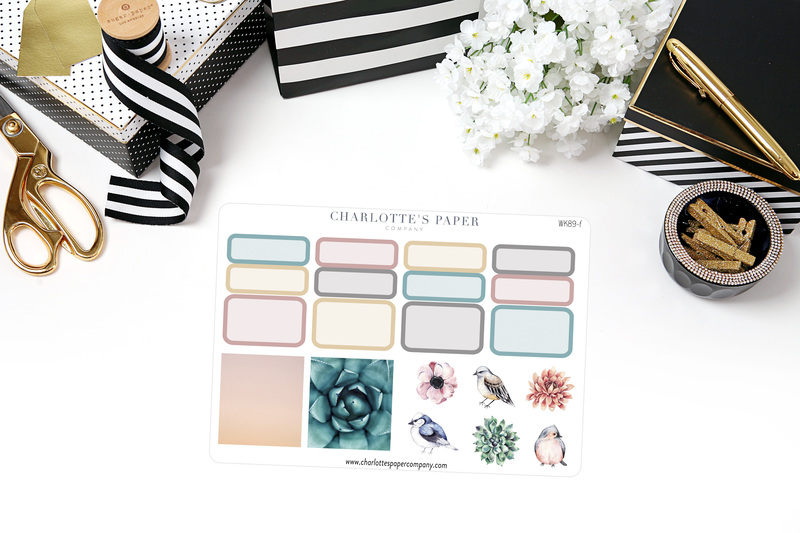 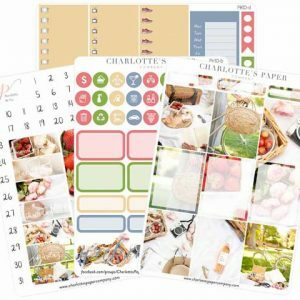 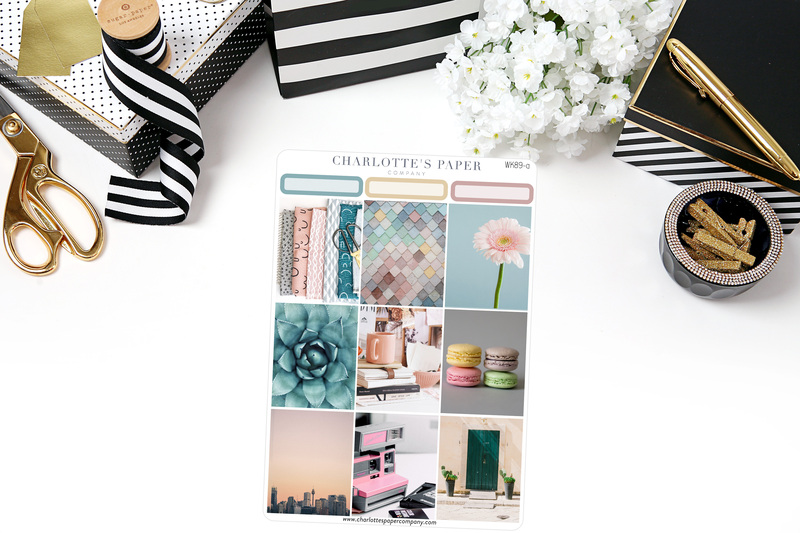 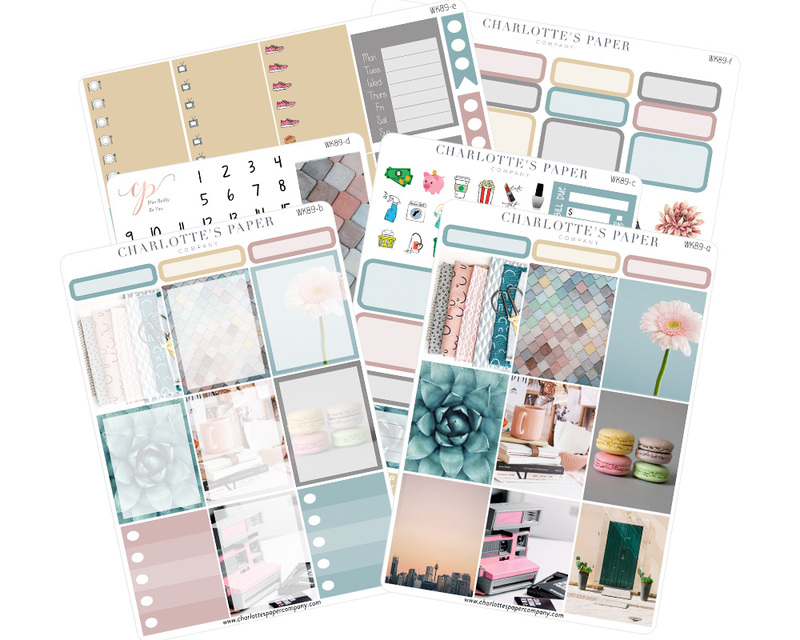 Sweet pastels and soothing images make up this six-page planner sticker set, complete with note boxes, list boxes, date and day covers, functional stickers that make it easy to set little reminders and sidebar graphics. 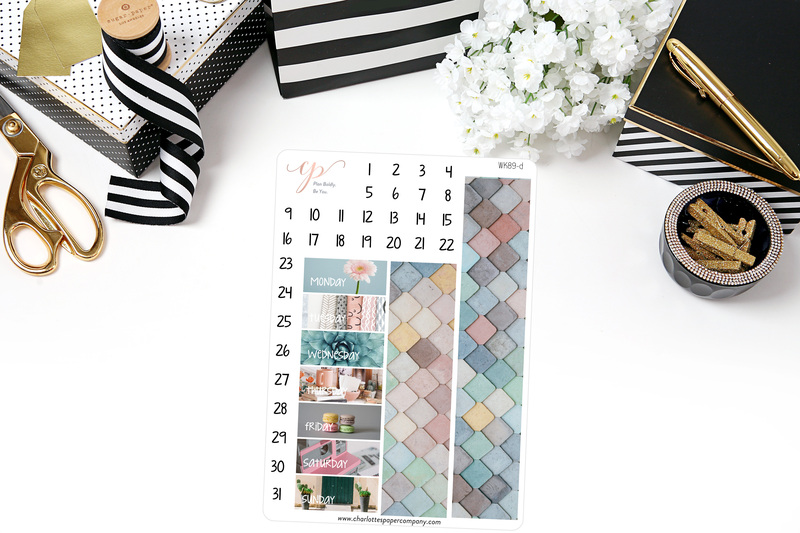 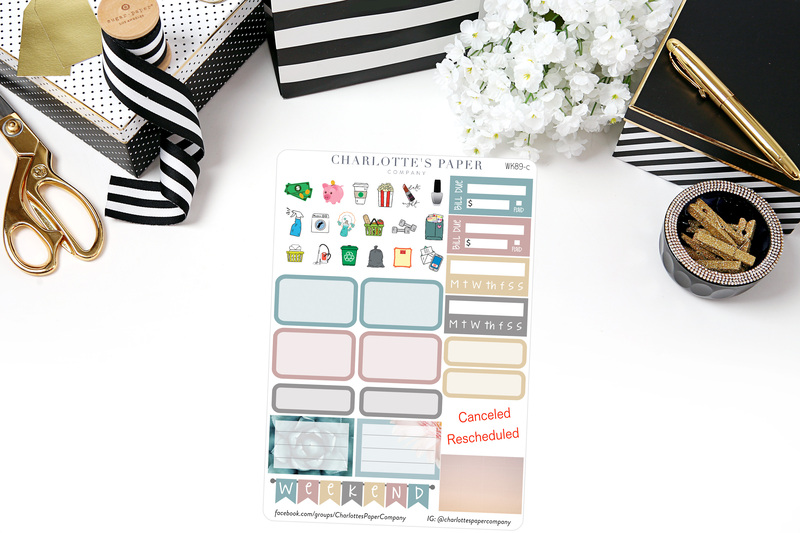 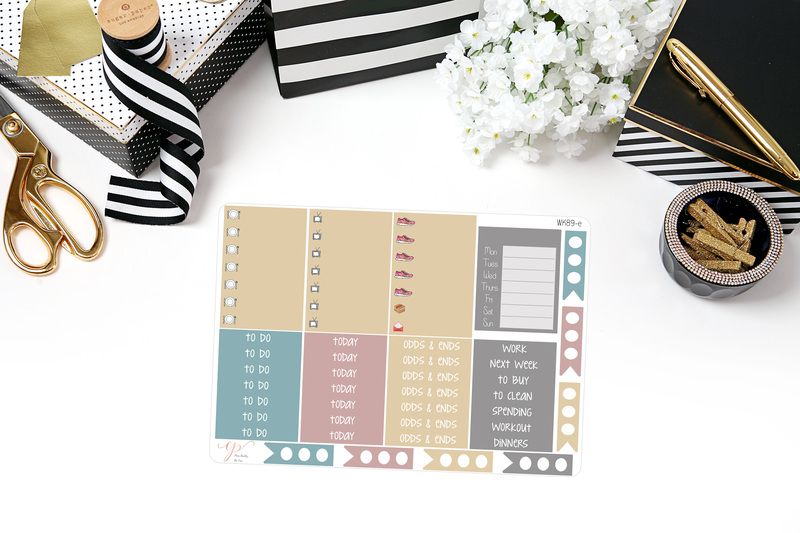 Customize your month and make scheduling fun again with a full planner sticker kit. 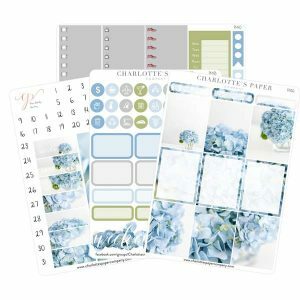 This kit was the perfect everyday kit for me. 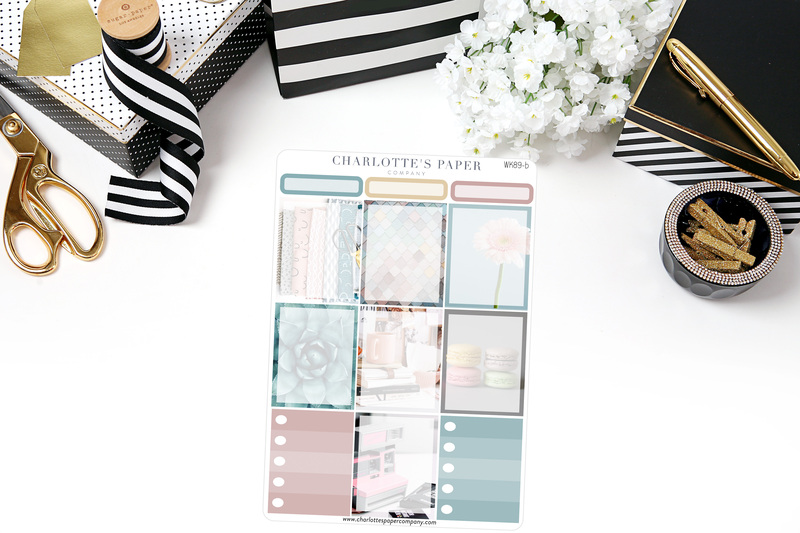 It incorporates beautiful pastel colors and some of my key favorite activities.